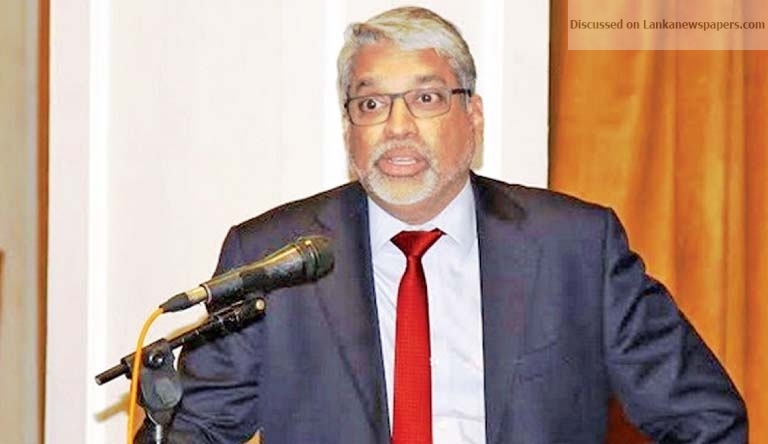 SriLankan Airlines is facing high competition and the best way to bail out the airline and make it viable is to call for a ‘SAARC regional open sky policy,’ said SriLankan Airlines, CEO, Suren Ratwatte. Speaking at the ‘Logistics Leaders Evening 2018’ at Kingsbury on Tuesday he said that today any airline can come to Colombo and they can also offer better fares than SriLankan as their ‘pockets’ are too deep and they can afford to do so. He explained that it was this factor that resulted in the airline’s Chennai flight which was among their top five destinations falling to bottom five destinations. He also said due to tough completion the airline was also forced to reduce their seven European destinations to one. The best way out of this is to have an open sky policy where SriLankan too would be allowed to fly some of the domestic routes in India and other regional countries as well. In a somewhat surprise discourse he said that SriLankan offers the lowest airfares in Asia and is even cheaper than Bangladesh, India, Pakistan and Malaysia and this too attributes to the bottom line of the national airline. He also said that in addition the high fuel costs and other overheads too make the SriLankan turnaround initiative an uphill task. “Fuel costs have gone up by 30% over the last four years but air fares have not gone up mainly due to the tough competition.” Regional low cost airlines like Air Arabia, Fly Dubai Air Asia and even IndiGo in India (currently all of them have over 140 aircraft) are on a huge airline buying spree and have ordered over 200 aircraft for the next few years and competing with them with the current SriLankan fleet of around 20 aircraft was difficult. The global aviation industry is monopolized by two manufactures, Boeing and Air Bus, five engine makers and five leasing companies and for a small player like SriLankan have to dance to their terms. However he said that the Asia Pacific region is among the highest growth regions for aviation and SriLankan can exploit this with new synergies.